It’s finally time for family holidays! You know that heading to the beach is one of the best ways to spend this fun and exciting time, and…. everyone loves it! 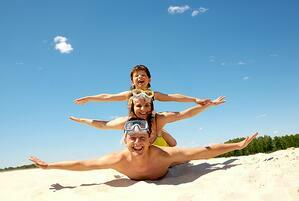 To make sure your holidays are fantastic, we’ve got some tips for you to bear in mind. According to the experts, a family who decides on and plans their trip together has a high chance of it being a success. Get the whole family involved in choosing your destination, as this will make sure everyone is happy. 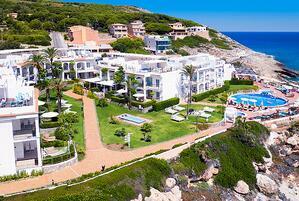 Mallorca is a favourite destination for spending the summer holidays as a family. Mallorca with kids is delightful; not only does it have amazing beaches, including Cala Mesquida, Playa de Muro, Playa de Alcudia…but it also has loads of leisure options for both adults and children. Travelling with kids is fantastic, but that doesn’t mean to say it’s easy! The important part is to find the best way for the whole family to have a great time. You know what they like and that they’ll enjoy discovering everything your chosen destination has to offer, so… Enjoy this time with your family! The moment all of us, or almost all of us, were dreading has arrived. Packing! Before anything else, keep calm and don’t go mad! Holidays are not synonymous with moving house – only take what you need. Your swimming costume! Obviously, there are always things that can’t be left out when packing your suitcase. To make sure you know what you need and what you don’t, a list is recommended. A good way of working out what clothes you’ll need is to calculate it based on how many days you’ll be away for. Pack an outfit for each day and then add a few more, just in case. Don’t forget to always carry medications for kids: for a temperature, sore throat, as well as plasters and a cream for cuts and bruises. 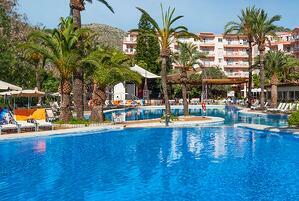 One of the worries that will almost certainly be playing on your mind is where to stay. Everyone has different tastes and priorities, but you’ll more than likely all agree that an easily accessible place to stay which is close to the best beaches and facilities to ensure the whole family has a great time, is a good idea. 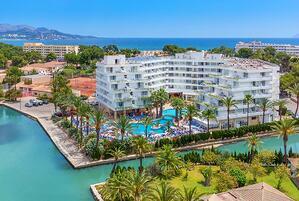 Mallorca has plenty of accommodation options to please all ages. 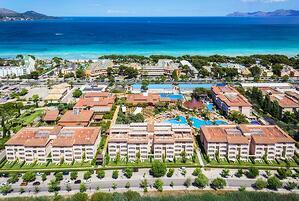 Hotels VIVA offers a programme of activities and complete facilities so that the whole family can have a great time! In addition to the programme of family activities, they also offer loads of entertainment options to make sure the kids are having fun while the adults can sit back and relax knowing their kids are happy and well looked after. It’s time to enjoy the holidays!